Contributor Alexandra Duta writes about her most recent and surprising discovery, the Cantacuzino Castle in Busteni. Whether you’re new to Romania, a first-time independent traveler or just a laid back sightseer, Prahova Valley seems to have all the right travel answers: a gorgeous king’s summer retreat, castle included, a Royal winery, ski resorts and much more. 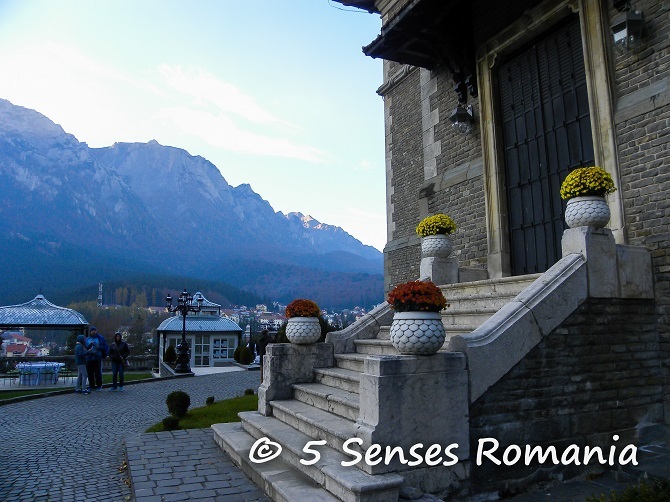 I have always found it a bit too touristy for my taste and actually never thought there might be anything at all to surprise me when I came across the posh Cantacuzino Castle. 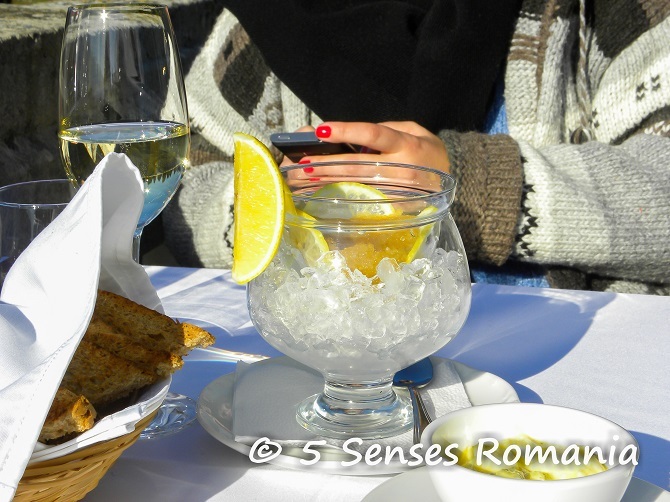 As the chief travel artisan at the 5 Senses Romania travel agency, I like my weekend getaways flavorsome just like the travel stories I create for our awesome travelers. 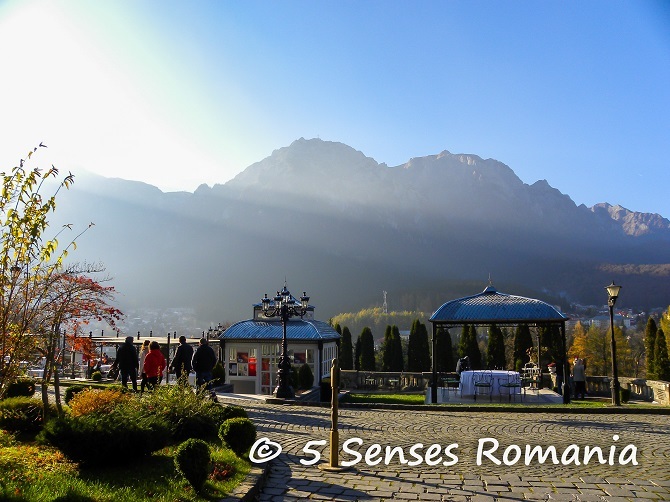 I started by choosing one of this November’s amazingly beautiful Saturdays and embarked on a lovely train journey to Buşteni, the small town at the bottom of the Bucegi Mountains. After a 20-minute stroll, I arrived right at the foot of the Zamora Mountain where the Neo-Romanian style castle was built in 1911. The impressive architecture and the wide domain are completed by the chic terrace facing the city and the snowy mountains in a picture-perfect autumn day. There were three main things that made me fall in love with the castle: the breathtaking view, the elegant interiors and on top of it, the exquisite Canta Cuisine restaurant. There is no one without the other therefore my recommendation would be to start with one of the hourly castle tours – English tours available upon prior request – then relax for a tasty meal on the terrace (weather permitting) or inside the cozy restaurant. The castle was commissioned in the first decade of the 19th century by the extremely wealthy Romanian aristocrat Gheorghe Cantacuzino, one of the most influential politicians of his time. Sadly, he enjoyed his new and opulent summer residence only for a couple of years before he passed away in 1913. Nonetheless, his legacy continued and the castle was carefully restored, following a negligent and unfortunate management of the Communist authorities. The roughly half an hour tour will keep you all eyes and ears over the juicy history of the immensely rich Cantacuzino prince nicknamed the Nabob, as well as the intricate interiors. After the tour, I very much enjoyed dipping into the gourmet menu of the Canta Cuisine restaurant (a playful reinterpretation of the Cantacuzino name). Many positive reviews have been written so far about the well-made fusion menu, I’d only like to add my two personal favorites, the creamy truffle cappuccino and the mouthwatering pear sabayon, alongside some very exciting wines, the plentiful portions and most surprisingly, the waiters’ flawless service. Taking into account the high-end atmosphere and attention to details, I was honestly expecting a handful of stiff and snobby employees, but they impressed me with their warm and professional attitude. Kudos to the management team! 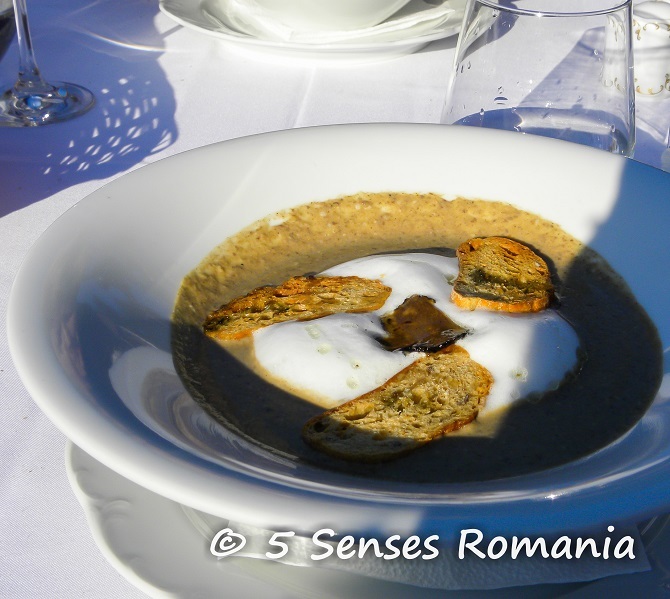 Overall, the food and wine prices are similar to those of Bucharest’s top restaurants, but adding an aristocratic touch makes the whole experience definitely worth it. The Cantacuzino Castle is most suitable for a single day getaway or as a lunch stop on your way further to Transylvania. It is also child-friendly. 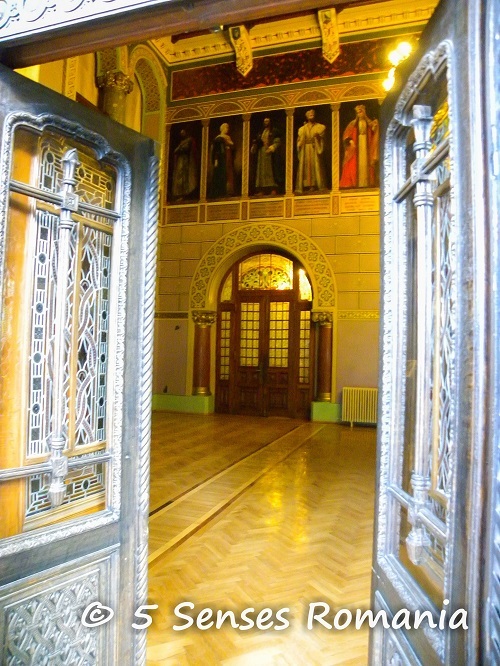 The castle doesn’t have any lodging facilities; however, if you already plan to spend the night in Buşteni or Sinaia, you might be interested in the recurrent art exhibitions and the cultural events such as the Prahova Classic Nights.